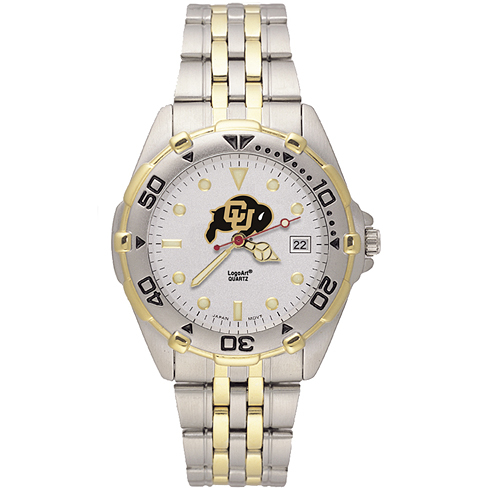 This men's University of Colorado All Star watch has a brushed chrome finish case with a rotating two-tone bezel and matching stainless steel bracelet. The All-Star features a precision Miyota quartz movement, distinguished dial face, with the school logo on the top half of the dial. Date window, raised luminous hour, minute and second hands. Mineral glass crystal. Water resistant. Packaged in an attractive silver tin. Two year limited warranty.